The TelePrompTer displays text directly in front of a camera allowing the on camera speaker to see the script or speech while appearing to look directly at the camera. 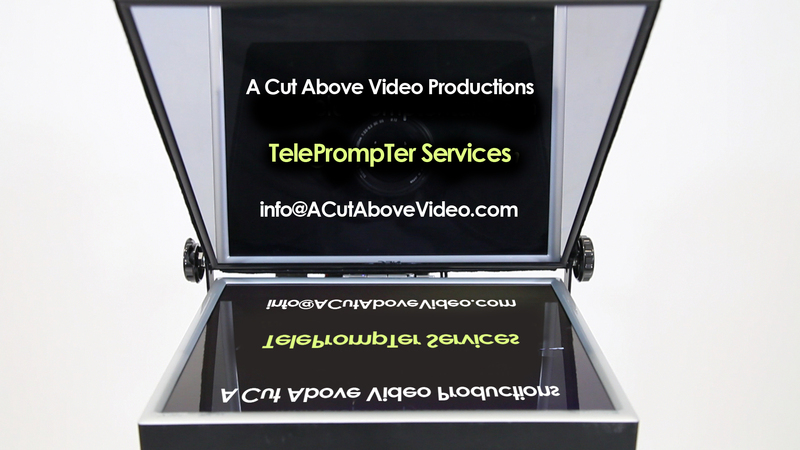 A Cut Above Video keeps an in-house 17” TelePrompTer that be configured for studio and field use. Standard text documents make this easy to use software simple to incorporate into your production. For those with poor eyesight a custom built 32” studio TelePrompTer is available.